And along with the highest first-week sales for a rock band this year, come glowing critical reviews for the record. I love it! Amazing work by U2. Get Out of Your Own Way and American Soul are Resistance songs!! I could listen to you sing it all night! Like many I wasn’t instantly in love with SOE but now can’t stop playing it. It’s is indeed like a treasure box. Absolute fav is lights of home, use uplifts the soul every listen. Love it. Im going to be honest and say when i first listened, i didnt think i was going to like it, but i kept listening to it everyday on my way back and forth to work... My instant favorite was "Its The Little Things That Give You Away" loved everything about this song... Edges guitar work is classic, Bonos Vocals and Lyrics also Classic... an instant U2 classic IMO. "Red Flag Day" was catchy to me and reminded me of something that could have been on the "War" album. "Get Out Of Your Own Way" and "You're The Best Thing About Me" remind me of "All That You Can't Leave Behind". "The Blackout" is another one of my favorites and it reminds me of "Achtung Baby". "Summer of Love" is also catchy and i love The Edges guitar in this song, Bonos Vocal fits so well. All in all i really love this album. Glad to see them hit #1 again. I have also made a playlist with SOI & SOE the songs played together really does fit well. I am also a big fan of SOI. Each song has something in it that i enjoy listening to in both of these albums. SOE is like a treasure box. But unlike few other albums from the last years, that included 2 or 3 gems, this album is full of gems, jewels and precious stones. I think that's my favorite album since Achtung Baby and definitely since All That You Can't Leave Behind. I've been listening to SOE for 2 weeks now and I LOVE all the songs, but my favorites are: Landlady, Book of Your Heart, The Little Things that Give You Away, The Showman, Love is Bigger Than Anything In It's Way, American Soul, The Blackout, Get Out Of Your Own Way and Red Flag Day. I can't wait till the Madison Square Garden concert on June 26th - hopefully they'll play almost the whole album. I like that U2 has been always engaged in many great causes and now got back to being political. I think some songs on SOE can inspire people to engage in politics, to vote and to fight back against injustice, intolerance, bigotry, narrow-mindedness and Trump. Burned by the fire of love! It all started when I was 17 and discovered this band called U2. Their music moved me, made me really care about music in ways like never before. I was mesmerized and could relate to the lyrics in so many situations throughout my life. I am now in my late 40's and still as giddy and excited about SOE as I was back when I first heard The Joshua Tree. A heartfelt thank you to the band for giving us time to reflect on what is beautiful and worth fighting for. I look forward to seeing the band on the road once again. I love you guys so much! After reading the interview on Billboard, I wanted to share a thought. Something different occurred in my expectation of the last tour in celebration of the album "The Joshua Tree", perhaps because I already hoped that the tour would not be extended to other countries, perhaps because I already had a melancholy that could not fit in my agenda a trip to attend of the tour, perhaps because of the prospect that I would continue with a dash of envy of those who lived the original era of the album. But, thank God, I had the opportunity to get over that right here in my homeland (Brazil). What was strange was that I did not go into all the details of the show, even before any expectation of watching it live and that was something I did incessantly on the every tour. I was limited in knowing what was the list of songs in each day and in seeing the official images that band put in instagram or facebook. In this way, a fundamental detail escaped me and would maked a tremendous difference in my appetite about the tour: what was the song chosen to precede exactly the last minutes of the show's start. In the heat of the moment, just before of the show, I did not take note of the beauty of the song "Whole of the Moon" from "The Waterboys". I only awared of the song's content when I saw Bono quote a line of the song before one of the shows in Brazil on Instagram, "you saw Brigadoon." I hear that song now almost every day and invariably before another audition of the "Songs of Experience". I'm in love with this song, it's uplifting song and sensitively relevant to the context the band wanted to explore on the TJT tour. It clearly seems to refer to two extremes of personality in distinct rhythms of life that seek the same truth and that momentarily one side listens cautiously the other part. I think the song narrates a healthy relationship of learning, since narrator has a different angle on the same problem. When I was a teenager, I always thought a lot and talked a lot, but I did not necessarily have the wisdom to listen to other opinions. I still fall into this trap, but you may consider myself to have been cured of this bad habit. I tend to think that a song like this was composed at a time when there was a natural segmentation of the audience, since the musical genre itself already provided a clear relationship of themes between the band and the fans. Faced with this limitation of natural segmentation, if the artist wanted to have more layers of themes and sonority to surprise his base would not be something so improbable. Nowadays, in this digital world, this segmentation of the target audience is no longer natural. It has become an enormously dynamic and paradoxical goal. Now it's not so good to go away from segmentation target, but at the same time, it's not a good idea not to look for any segmentation. I am not knowledgeable about this subject, but for me, in music, experimenting is the same thing as segmenting when the reach of the artist is appreciably broader than that proposed. And in this conception, it's I imagine that the "Songs of Experience" as a masterful tool that prepares a fertile ground of differents segmentations for the band. It's a great chance to see (eye-to-eye) what your public feel about each song, each style, each lyric, each enviorement. The band is in a great moment. You are in a vibe so restless, insatiable and this is too cool! But just warning, this thirst for the new is incurable! I was very excited that the band already talks about going into the studio again in the Billboard interview. I realized and enjoyed the composition of colors in the photos of the band in this interview. Seems to refer to a certain degree of obscurity of a digital society, an underground style, that refer to utopian environments of high technology and low quality of life. This segmentation context I have already mentioned is closely linked to the context of producing a product in a free market. In a free market, a simple pen holds resources from several nations and the union of this productive chain to the final product is that it enables that technical element to be sold at an affordable price to all market realities. In good measure, the productive chains of a free market in search of the target public are tools of union and peace in the world. For example, I feel this power before every U2 show. I feel in every song that precedes the show, "People Have the Power" (by Patti Smith), "Wake Up" (by Arcade fire), "The Whole of The Moon" (by Waterboys), etc. Everyone in an arena or in a stadium are in pre-show frenzy that have just one goal that is to support a same team, the U2-team. There are not only different religions, ideas and dreams in the public, but there are also a number of people that makes it possible for a spectacle of 40 to 90 thousand people to happen peacefully. This union comes with the possibility of a technical, scientific and informational globolization, and, especially, when the preparation meets the opportunity. It's magical to watch a passionate audience celebrating that everyone has arrived safely in a large temple of music. It's in this space that there're recipiency to think about the global governance, it's in this space that it is possible to reflect on multilateral decisions and it's in this space that nobody wears the mask of isolationism. And, this space is almost a science fiction film space. See you. Congratulations!! Songs of Experience is beautifully crafted. It has a late 1990's - early 2000's vibe something between POP and All the things you can't leave Behind. Really digging it. It's really hard to choose a favourite from this album. But it if I had to choose one, it could be either "Landlady" or "Red Flag Day." But "Summer of Love" is way up there too. And I'm not even considering the 5 songs that were shared prior to the album release, the best of which were "The Little Things that Five you Away" and "Get Out of Your Own Way." Actually each song has moved me in one way or another. That's the best way to put it. Why all the focus on ranking things anyway? I can already tell that this album will be there with me, lifting me up, inspiring me, consoling me, thrilling me, during the best and worst moments of the rest of my life. That's what really matters. Very well done, U2! I get it. Finally. Went back into the catalog and revisited/reconsidered those that were...unclear, not favorites, etc.. It ALL makes sense now... even Pop! Brilliant. This newest one, especially. The new album is legit. Can't seem to put it down. I am glad to see them back on top of the charts with this one. For those of us who ever had those brush with death moments, we can certainly relate to those feelings adressed with SOEs lyrics. Great album, Adam's bass sounds so powerful!!! Thanks guys for Songs of Experience! I love the SOE. I really do. In fact, I love to listen to SOI and SOE in sequence - it really has interesting connection. From youthful energy and rage of SOI to mature understanding and perspective of SOE. The beginning and the end of SOE is very strong, even some of the songs that did not catch my attention initially (like Little Things), on album fits the overall flow well. I hope I will be able to make it to some European concert. The whole album is such a heartbreaking one! It´s stunning, heartbreaking, beautiful and mind-blowing! It brings so much joy, so much happiness and so many tears and sadness! Only U2 can bring me so many feelings in my heart and soul!!!! I´m in love in this album...it´s a masterpiece - as usual! It is not a rock music. It is not a real rock music. "Get out on your on way" is like a Boys Band song. The album is the worst in discography.Any smart idea for this songs. Some are the same as on last album. "If there is a light We can't always see If there is a world We can't always be If there is a dark Now we shouldn't doubt And there is a light Don't let it go out". Is in`t it?Or this is a totaly new and creative song? For me the best song is on the deluxe version: book of your heart. No big production, what a tension in bono'voice, superb guitar. Just a good feeling to link u2 to us!! Congrats on the #1 position Guys! It’s a great album, beautiful recording. I’m looking forward to how you craft the live set along with SOI & your past. Please don’t alienate Pop & Zooropa songs! Imagining The Blackout, Red Flag Day, The Little Things, Crystal Ballroom & This Is Where You Can Reach Me Now buddied up with Please, Gone, Dirty Day, Lemon, Zooropa. That would melt faces. I read Bono really loves Arcade Fire’s Everything Now & I believe the vibe & energy of mid to late 90’s U2 resonates the same way if not more. When I first heard Songs of Experience, I was like OMG...U2 has done it AGAIN!!! What a beautiful well put together album!!! (Lights of Home & Summer of Love are my favs) Since SOE was released on iTunes, I have listened to it (All of the songs w/o skipping any) everyday!!! Great lyrics I can relate to and the music....Larry, Adam & Edge did their thing...and Bono’s voice sounds so wonderful and strong!!! I’ve never heard 13 songs so beautifully written. Great album guys!!! You deserve nothing but the best. Glad I’m a fan!! Many blessings throughout the rest of your career and upcoming tour!! See you guys in June!!! Love, love, love, the new album...well worth the wait! Can't wait to see these songs soar in concert! Hope you are going to give Red Flag Day a chance live (would be a great single too). ViVa! U2 Still Relevant. Yes you lads are! Thanks for amazing music, amazing stores, and keep putting up with societies ups and downs. See you at the Forum, and Boston. Another fine piece of work from the band that has been with so many of us through the decades. It's a credit to U2 and the people they entrust in helping them deliver songs that really hold up strong throughout. 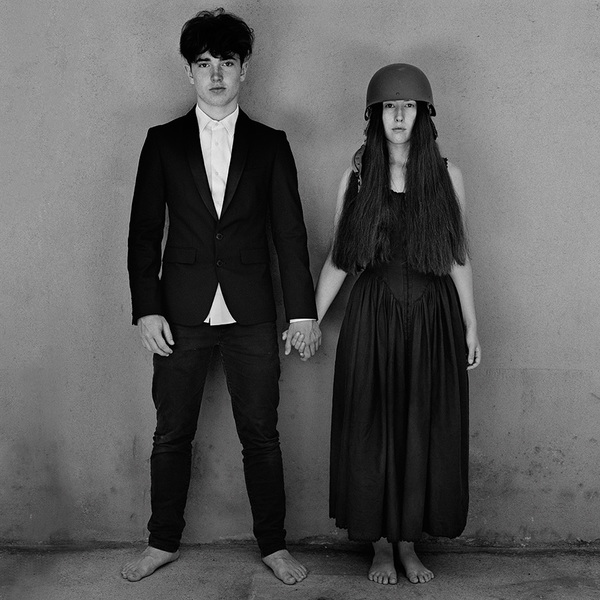 For me, it's a typical U2 album - some songs hit you right between the eyes, some where it hurts most and some that will slowly just edge their way into your soul gradually. American Soul has jut got such a fantastic groove going on there, but could wax lyrical about every track. Thanks again chaps. Looking forward to the tour - sure ye know there's always a big welcome waiting for you in Belfast again! Let’s see have the record and the download off iTunes deluxe edition And the normal cd in my mailbox from the Presale ticket deal. See u2 in Tulsa Oklahoma.. happy holidays too all your crew and all round the world . And all the fans out there happy holidays and happy new year. Thanks for ambrace México in your hearts. We are living tough times... these boys always brings us hope and faith. We must "get out of our own way".